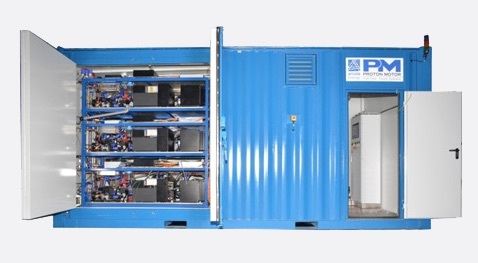 On 9 January Proton Power Systems (PPS), the maker of hydrogen fuel cells, announced that it had formed a joint venture with two German companies to build heavy-duty trucks powered by fuel cell hybrid engines. The company, called Clean Logistics, will be owned in equal proportions by PPS, Hopen GmbH and Hary AG. The goal is to be able to support orders of up to 1000 vehicles by the end of 2021. The first step, however, is to obtain financial support from one of the German federal programmes that subsidises alternative fuels and clean transportation. The hybrid engines are expected to consist of electric motors driven by batteries that are topped up by the fuel cells. 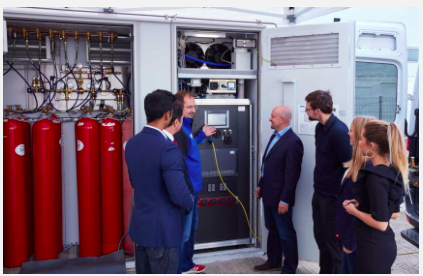 They are claimed to be emission-free, in the sense that they will only produce water vapour from the fuel cell and not CO2 or any noxious gases or particles. Hopen is a private holding company with investments in Invenox GmbH and E-Cap Mobility GmbH both of which can provide two essential contributions to the joint venture. Invenox is a Lithium-ion battery manufacturer associated with the University of Munich that claims various features that improve the reliability, extend the lifetime and reduce the production cost of the battery, for example: a sophisticated battery management system that monitors the state of each cell in the battery (and allows for its replacement), efficient extraction of heat and simple manufacturing processes. The so-called Conchifera technology has patents pending. E-Cap Mobility runs an interesting business replacing internal combustion engines in existing vehicles with electric motors. The company claims to have converted over 50 vehicles from sports cars to vans and trucks. Apparently the founder, Dirk Lehmann, used to participate in his local harvest festival by driving an old diesel tractor through the village. Complaints from local residents about the smell and the noise motivated him to replace the diesel engine with an electric motor with the help of two experts. Success led them to start the business which now employs 30 people in workshops near Hamburg. The third partner, Hary AG, is a transport service provider with 400 employees and 450 trucks in 9 locations in Germany. In addition to transporting goods it offers personnel, workshop services, depots and warehouses. The company sees itself “…not only as a classical transport service provider…” but “..building on ecological change and high demand for environment-friendly mobility.” Hence the interest in the fuel cell hybrid. 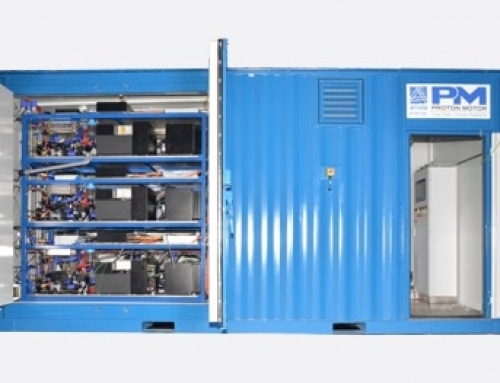 PPS’s announcement, like the recent one from AFC Energy, shows a renewed interest from fuel cell manufacturers in the transport market, which is not surprising in view of the attention given to electric vehicles from the press in the last year. Fuel cell manufacturers also need desperately to find a market for their products. PPS has in the last two years received revenue by selling systems that provide emergency power to the German rail network, and also from the Orkney Surf and Turf project (which produces hydrogen using excess power from a wind turbine and a tidal project on the islands). As these projects wind down PPS urgently needs new sources of revenue. Apart from Clean Logistics the only other announcement since the interim report came out in September 2018 was the agreement “in principle” to establish a joint venture with e.Go, a manufacturer of electric vehicles based in Aachen. The market responded well to both the e.GO and the Clean Logistics announcements with the share price now standing at 7.62 pence for a three-year low of 2.63p and high of 9p. Market capitalisation stands at £49 million.